The Scar 17 is a high-powered gun that takes pride in its long-range accuracy, powerful downrange, and second-to-none versatility. Finding the best scope for a Scar 17 doesn't have to be a complicated task. We're going to delve into some of the best products available for the Scar 17. Choosing one will not only come down to your personal preferences but also what may be the best scope for your brand of gun. How Accurate is the Scar 17? Every gun owner knows that accuracy matters. 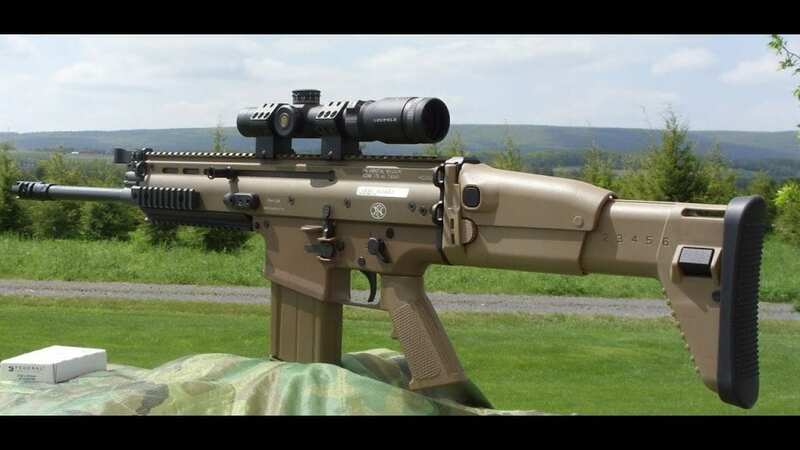 On some gun forums, users of the Scar 17 say that the average accuracy of a Scar 17 is approximately 1 MOA. It may also depend on the bullets you use as well. One member of the AR15.com forum said that Scar 17 seems to favor his 150gr bullets. With these bullets, he was able to get ¾-inch groups at 100 yards. Since it also has the ability to hit targets from long-range, users have been able to hit targets accurately from as far as 600 yards away. In another gun forum, one member polled the forum about which precision rifle would be a more reliable choice if you needed to shoot a target from 400+ yards. When pitted against the Remington 700, the Scar 17 is favored due to its ability to hit targets from long range. Having a clear view is a must, especially if you're consistently shooting from long range. If you're looking for a scope for your Scar 17, find one that will allow you not only great clarity but will also work well when Mother Nature isn't doing you any favors. Some scopes are ideal for target practice. Others are ideal for hunting. Consider the purpose of what you are using your Scar 17 for before choosing one. People who hunt using a Scar 17 are those who hunt for big game like deer, elk, moose, etc. These are animals that you can hit at long enough ranges with the right weapon. Finally, you'll want an option that can last you a long period of time. The best long-lasting scopes are the ones that tend to hold zero after many uses over the course of a year or two. And since your Scar 17 tends to kick, you'll need a product that is shockproof so it can consistently sustain a lot of impacts. Though Vortex is One of the Most Durable Scopes, it Comes With a Lifetime Warranty. It comes as no surprise that the best overall scope for the Scar 17 is from Vortex. The brand is known for making one of the toughest products on the market. That's because it's made from high-quality aircraft aluminum. Not to be outdone, the lenses are multi-coated and also have Armortek coating so the lenses are resistant from scratches, dirt, grime, or anything else that can mess up your view. You'll always get a crystal clear shot, no matter what the conditions are. Plus, it is equipped with O-Rings and is argon purged. This means that no moisture will seep into the scope and cause it to fog up. Best of all, it's waterproof, shockproof, and fog proof. This item uses an FFP MRAD EBR-2C illuminated reticle. This type of reticle will stay constant, regardless of where the magnification is set. You can easily adjust an FFP with little to no scaling issues if you think your shot is slightly off. If you’re looking for a product that won’t steer you wrong in bad weather, the Vortex Optics is one you can trust. Even the clarity is decent when precipitation tends to get in the way between you and your target. On a sunny day, this is a product that can give you a clear shot at up to 1000 yards. The Vortex Optics Viper PST Gen II has proven that when it comes to scopes for the Scar 17, it’s the top dog. This is the perfect option for anyone who tends to target practice at long ranges. It may not be ideal for a hunting scope, but that shouldn’t discourage hunters not to use it. During snowy and rainy days, you can hit a target with decent accuracy at about 400 yards. Beyond that, it may be hard to distinguish. Looking past the good and the bad, the Vortex has a solid case for why it is one of the best products available. Nikon is known for having the best optics on all of their products from cameras to scopes. This product is no exception to the rule. If you want the clearest in optics, the Nikon may just be king. The tube’s diameter is about one-inch and is made from durable material that protects the optical system from fogging up. Of course, no scope is complete without being tested for its waterproof and shockproof abilities. The Nikon passes the test with flying colors. The Ultra ClearCoat Optical System provides a clear sight regardless if it’s dawn or dusk. It also comes with a quick-focus eyepiece that allows you to lock onto your target in the quickest time possible. 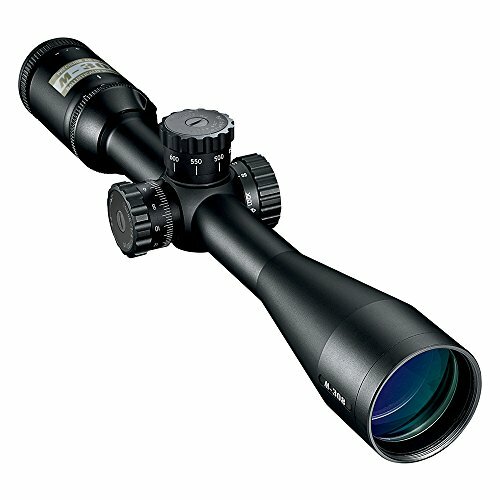 The magnification range on this scope is ideal for any long-range rifle, including the Scar 17. Nikon always holds optics to the highest of standards. Keep that in mind if you ever come across scopes with the Nikon name. They will always give you a clear shot, rain or shine. First things first, this product is massive. The objective is 56mm and it is designed to provide you with a wider view and make it even brighter than any other scope. The tube is also a massive, but a super strong 35mm that improves the reliability and overall resolution. Last, but certainly not the least, it comes with a 140 MOA for elevation adjustment. This product also has a mil-dot reticle with ½ -inch mil bars. The dots can be used for range estimation at 12 or 25x magnification. Not to mention, the reticle itself is illuminated. If you are a long-range shooter, this scope might be something worth looking at. The Millett LRS-1 is the ideal choice for the long-range marksman. 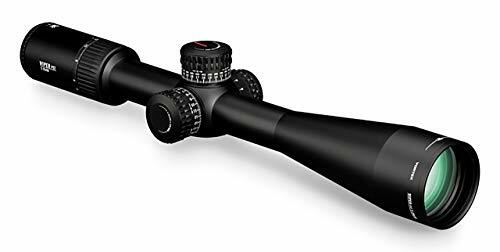 Keep in mind when looking for scopes that the larger the objective, the better the chance it can get the job done with targets at long range. It's amazing that such a product can be powerful enough to read the fine print of something that is set over 100 yards away. A scope like this is worth every penny. Once again, we look at another scope from Vortex. At this point, you know that Vortex is a trusted brand for producing the most durable scopes on the planet. The magnification range on this item is anywhere between 6x to 24x with a 50mm objective. So right away, you know that this is a product destined to be a long-range shooter’s best friend. As always, the Vortex is crafted with aircraft grade aluminum for maximum durability. This also comes with EBR-2C MRAD reticle that can be used to determine ranges, windage corrections, and moving target leads. The reticles are laser-etched to ensure that the MRAD specifications keep the tolerances as tight as possible. Finally, the exposed tactical turrets allow you to easily adjust for windage and elevation with Zero-Reset. Once you’re finished with the adjustments, you can simply set it back to zero in the quickest and easiest way possible. Once again, Vortex has proven itself to be a reliable brand for scopes. Besides the fact that it is one of the most durable scopes out there, it even does a superior job giving you a clear shot no matter if it's sunny, rainy, or snowy. If that sounds like your kind of product, then this might be the choice for you. Our final scope to look at for the Scar 17 is the Trijicon ACOG. ACOG stands for Advanced Combat Optical Gunsight. 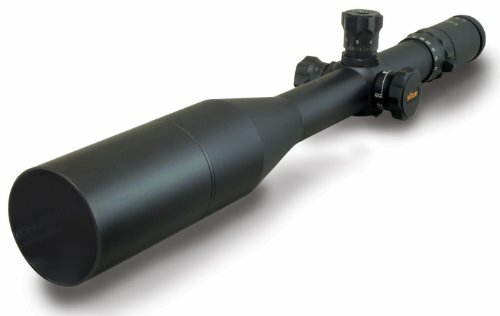 This is probably one of the most indestructible scopes on the market. That’s because it’s crafted with 7075-T6 aircraft aluminum alloy. This is the product that can be your best friend in times of combat (or target shooting) from long ranges if you want a device that is built like a tank and provides you with decent eye relief. The red crosshair ranging reticle allows for bullet drop compensation out to just over 1,300 yards. It features a tritium/fiber optic reticle that illuminates and automatically adjusts the brightness based on the availability of light. So you can see clearly whether it’s dawn or dusk. This is one product that will give Vortex a run for its money when it comes to durability. At the same time, it goes a great job drawing in enough light for the user to see their target, regardless of how much daylight is left. 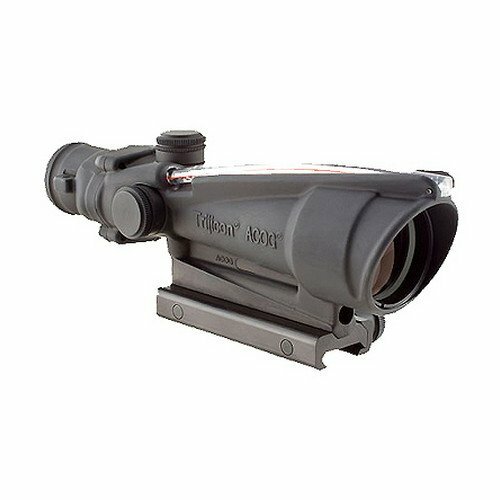 If you want a tough, combat-ready scope that can help you hit long range targets with superior accuracy, then the Trijicon can be the right choice for you. It’s no secret that hitting a target from long range is a goal that any marksman wants to achieve. 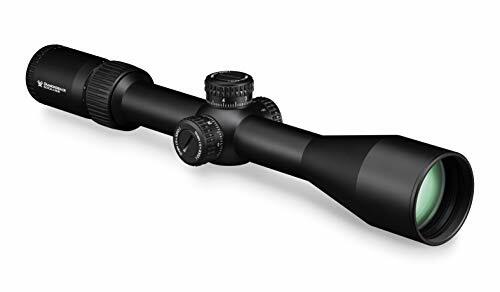 Most of these products have excellent magnification power that allows you to make the shot from long distances right where you want the shot to go. Most products that are designed for long-range shooting will have larger objectives. This will give you more to look through as opposed to standard scopes. Accuracy matters, no matter what situation you’re in. When you’re in competition, you know that the more accurate you are, the better you’ll score. Having a scope for your Scar 17 will help give you that edge so that your shots are dead-on target every time and make your opponents question their gun’s overall performance. Finding a scope for a Scar 17 doesn't have to be time-consuming. Yes, there are several out there. But there are a select few that are specifically designed to get the job done. If you're a long-range shooter and want a product that can improve every shot you take, consider the five offerings listed above.